Sony has announced its flagship, Xperia XZ, at IFA 2016. It has been a tough year for Sony so far and with Xperia XZ it wants to reverse the fortune. To do so, it has to topple current market leader Galaxy S7 Edge. In this article, we will compare both the phones to see which phone emerges as the winner. The S7 edge is one of the prettiest phones available in the market. It has glass panels on front and back with ultra-thin bezels, thanks to edge screen. The rear glass panel which is fingerprint magnet makes the phone quite slippery. That said, it is comfortable to use with the single hand. The build quality is top notch, but the rear glass panel is an Achilles heel as it is prone to damage in drops. Unlike S7 Edge, Xperia XZ is an all metal body with comparatively thick bezels. It follows Sony’s new “Loop Surface” design, with flat ends on the top and bottom, and curved edges along the sides. This is a refreshing design that Sony apologists have been waiting since ages. It is quite robust and very comfortable to use with a single hand. It fits in your palm like a charm, thanks to the small screen. Both the phones are pretty, elegant, and fingerprint magnets. It all ends up whether you prefer edge screen to traditional screen with bezels. I personally feel edge screen is a marketing gimmick, and it is also very annoying at times due to random clicks. S7 edge comes with stunning QHD AMOLED panel with a good amount of saturation, great viewing angles, and deep blacks. It is worth noting that the display is very bright and can be easily used outdoors. It also comes with a handy feature, always on display, that continuously displays notifications, time, calendar, and battery indicator. Sony degraded the resolution from 4K on Z5 to Full HD IPS panel on Xperia XZ. Nevertheless, the display is vibrant with good viewing angles. It is not as bright as AMOLED panel that makes it difficult to use in outdoors even at full brightness. 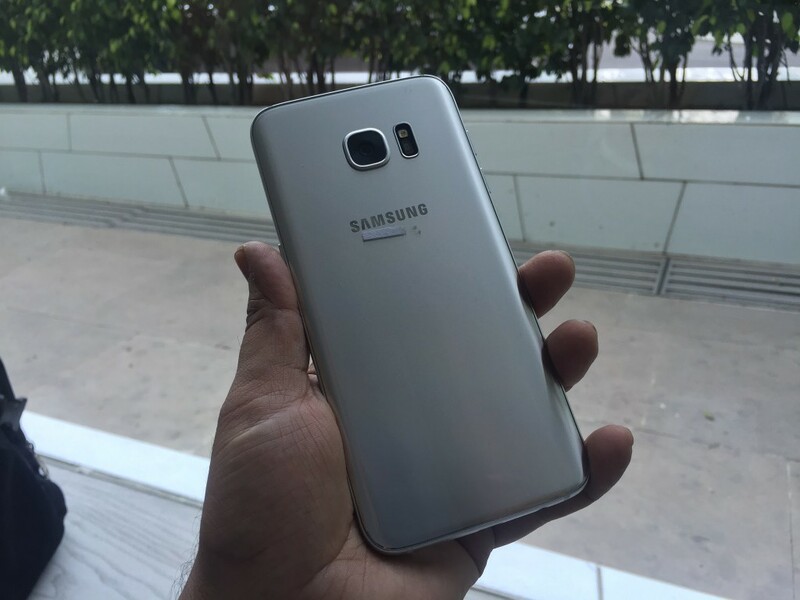 S7 Edge comes with an in-house processor, Exynos 8890, 4GB RAM and 32GB ROM. The performance is buttery smooth and it can handle any task you throw at it with ease. Xperia XZ is powered by SD820, 3GB RAM, and 64GB ROM. With the flagship hardware under the hood, it performs like a charm. But it has always been difficult to comprehend Sony’s strategies. While OEMs like Oneplus, Xiaomi, and LeEco have incorporated 6GB RAM in their phones, Sony is still stuck at 3GB RAM in 2016. Though specs rarely reflect the real-time performance, Sony should have at least incorporated market standard, 4GB RAM. S7 edge is powered by Mali-T880 GPU; whereas, Xperia XZ is powered by Adreno 530 which is 30% faster compared to Mali-T880. This results in occasional frame drops on S7 edge while playing high-end games like Modern Combat and N.O.V.A. But you wouldn’t be noticing any difference with moderate games. While Samsung has always done a pretty good job when it comes to camera quality in its smartphones, it has taken it to the next level with the S7 edge. The camera on the Galaxy S7 is 12MP shooter with an f/1.7 aperture lens, optical image stabilization, phase detection autofocus, LED flash, and dual pixel technology. One of the finest features of this camera is its ability to focus on the object incredibly fast; it has no match in the market. Low light photography is the best you can get on any smartphone, thanks to larger pixel size. Front facing 5MP shooter takes decent pictures but photos often look artificial. XZ’s 23MP shooter has Sony IMX300 sensor that is exclusive to Sony phones. It is the same sensor used on Z5 and Z5 premium. Unlike S7 edge, it has no OIS but it is compensated by 5-axis image stabilization. It comes with an unique feature, predictive autofocus. The idea is that once you tap on your subject and the camera will track its movement, keeping the focus locked on it. You can read our detailed camera review here. S7 Edge has 3600 mAh battery; Xperia XZ has 2900 mAh. Though the battery capacity on the S7 edge is higher, it has to power up more pixel as it is QHD screen. S7 edge comes with Qualcomm Quick charge 2.0 charging technology; the credit goes to Exynos 8890 which doesn’t support Qualcomm Quick charge 3.0. Xperia XZ supports Qualcomm Quick charge 3.0, and it also comes with a relevant charger in the box. It also comes with another nifty feature, Qnovo Adaptive Charging, that allows the phone to monitor the cell’s electrochemical processes in real time and adjust charging parameters accordingly to minimize cell damage and extend the battery unit’s lifespan. Overall, it seems Sony has done a better job in this segment atleast on paper. Recently, S7 edge got a decent price cut and it is now priced at 50,900/-. 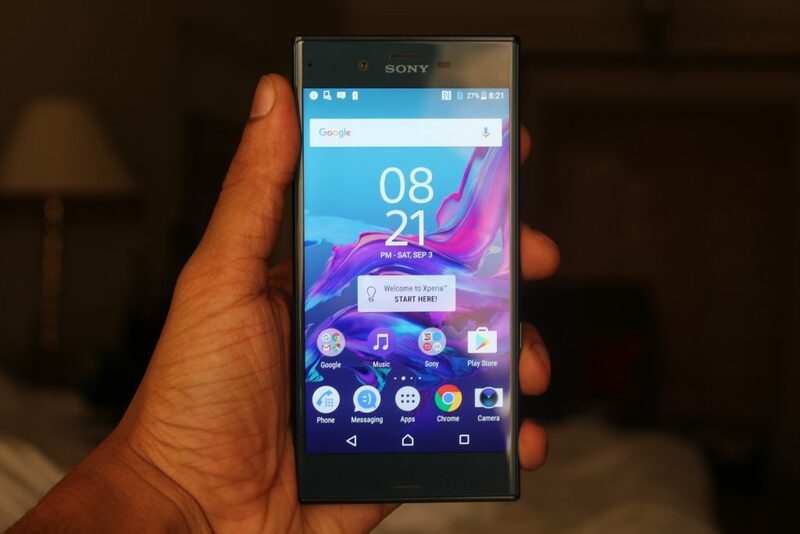 Xperia XZ is launched with a nearly same price tag, 51,999/- (best buy 49,999). It can be pre-ordered at all Sony outlets and Amazon.in starting from Oct 1st-Oct 10th; All pre-orders are bundled with Sony SmartBand Talk-SWR30 worth Rs. 8,900.